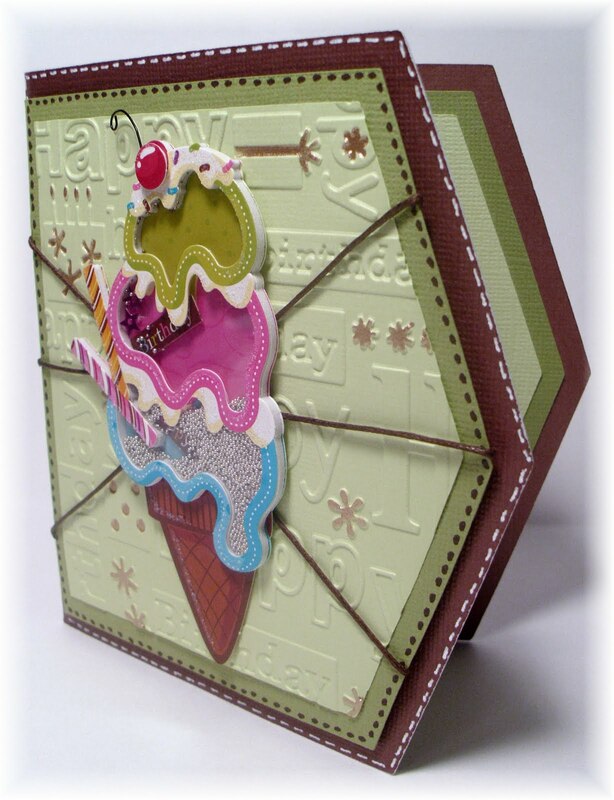 Welcome to Mag Challenge #33, this week we are to create a project using Stand and Salute page 42, remember we can only use the images on this page, everything else has to be embellishments!! I am using the Rank2 x2 (shift Key) for my project. It's cut at 4.87 welded together using my gypsy. I then copied them and made one mat at 4.48 and the other at 4.11, the smaller mat is embossed with the Happy Birthday folder. The ice cream shaker is a sticker and I also used braiding cord and a Gold gel pen for extra color!! I hope you have enjoyed my project and it inspires you to get those creative juices flowing, make sure you invite a friend to join in on the fun! 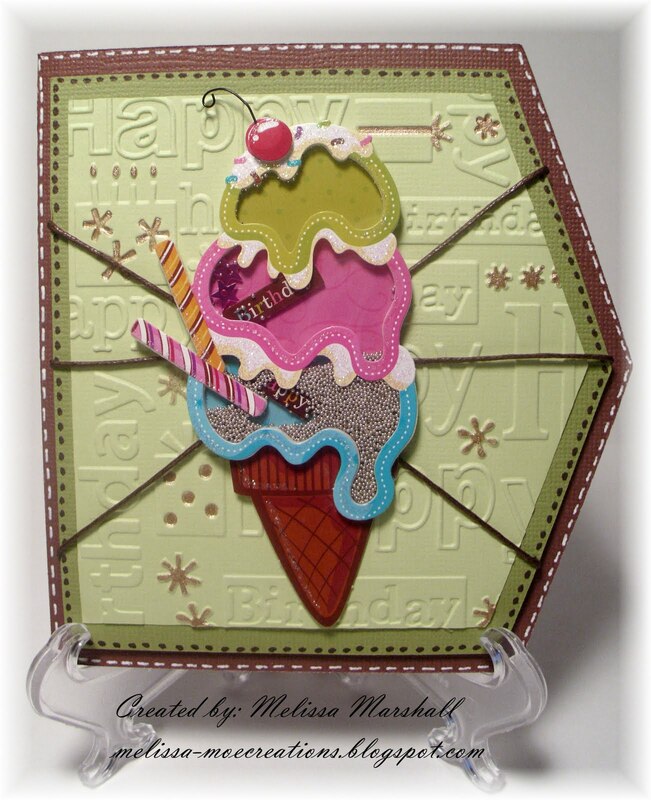 Melissa this is totally awesome! I love how you turned the pocket to the side (Awesome idea). You definitely thought outside the box on this one. Wow, this is so cute !!! Amazing job with this challenge!! 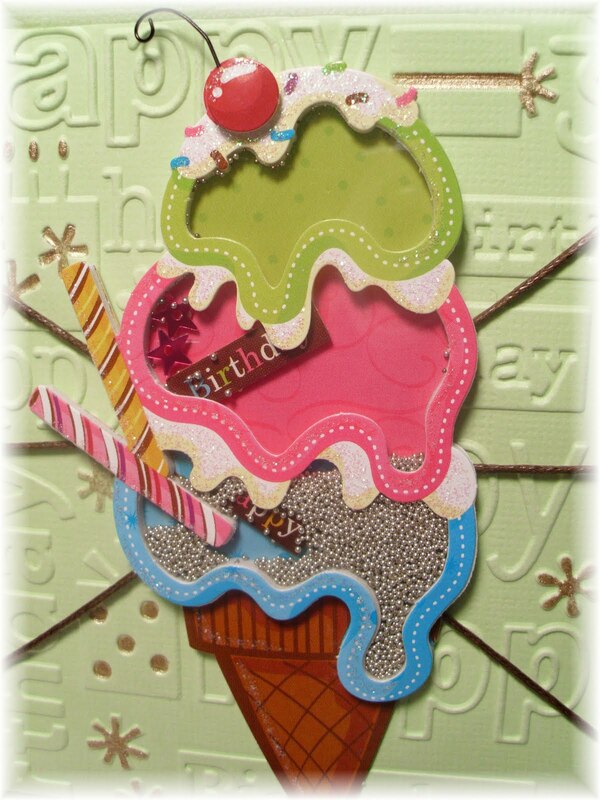 Such a yummy card. I couldn't tell that ice cream was a sticker. Love the faux stitching.